Every entrepreneur and small business owner tend to find themselves stuck with visual marketing their business at one point or another. They then flock to Google and search for social media graphics or visual marketing tips. Guess who’ll they’ll find?! My good friend, Louise Myers! She has the best design and social media tips that are consistently updated and helps entrepreneurs the best way to DIY their visual marketing. I met Louise through a blogging club years ago and I loved her posts from the beginning. From topics about blogging, Pinterest, and social media sizes, she has all the visual marketing tips people crave to learn more about visual content. I found that we have a lot in common and she uses her faith in all areas of her life including her blog. I’ve shared Louise’s awesome posts with my email community and social platforms because each post provides so much value. I think it’s about time to interview her to dig deep into how she got started with her blog and what her passion is. Let’s get this interview started! Listen to the interview or watch the interview at the end of the post. What’s the story behind the mission? When I lost some large corporate design clients, I realized that small business owners like myself couldn’t afford professional design services. I decided to encourage them to try the easy design tools available! And offer them ideas to inspire their content. What type of people do you help? 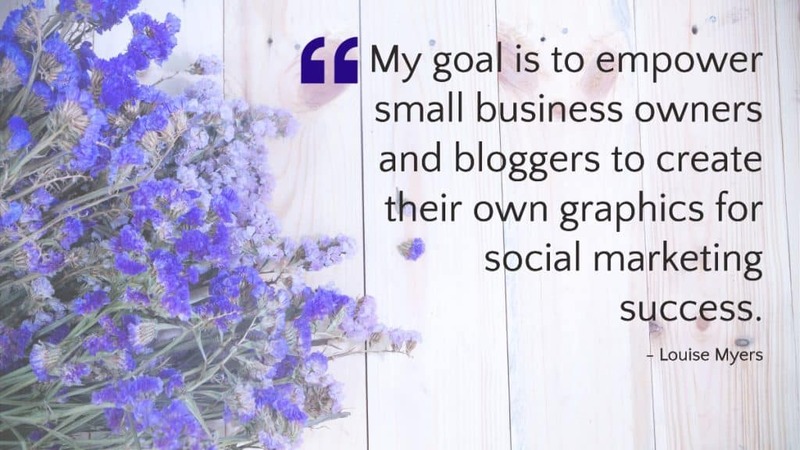 Small business owners, including bloggers and social media managers! Have more fun with my business, and take more time off! 🙂 As far as business goals, I plan to launch an affiliate marketing program and try promoted pins in the Fall, both for my 2019 Social Media Content Planner. Do you feel satisfied on a spiritual or purposeful level? Subscribe to my blog newsletter or follow me on Pinterest! Isn’t Louise the sweetest gal? 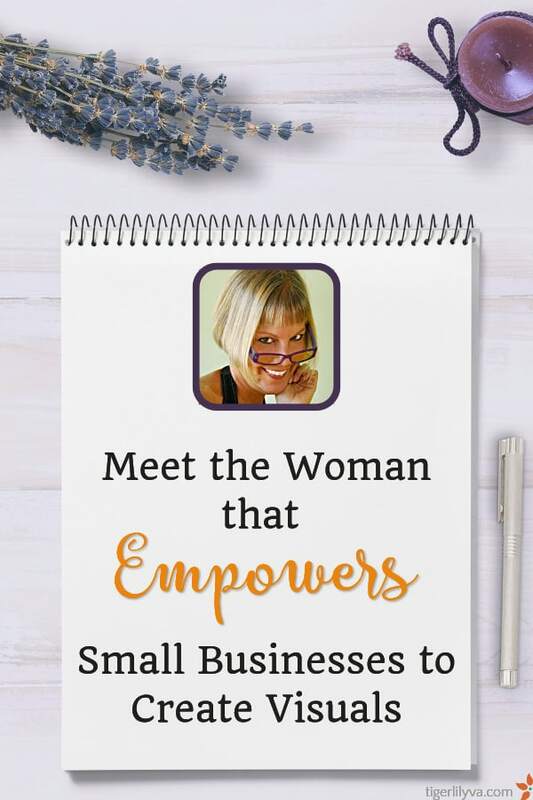 She is so helpful and all she wants to do is help entrepreneurs and small businesses out with her visual marketing tips. I encourage you to get to know her and visit her blog to get valuable information for your business. Don’t forget to sign up for her social media planner! You are amazing! Can’t wait to share this. Huge thanks and blessings to you, Lillian! Thank you for making the interview happen! I’m completely blessed. Great conversation between two very warm-hearted ladies. Professional looking design can go a long way. We’re blessed with the tools that exist that make our lives a lot easier. Using templates can help so much. Starting with a blank piece of paper is usually far to difficult for non-designers. Thanks so much for watching the interview! I agree we are so blessed to have so many amazing tools for design and blogging. So happy Louise helps people find the tools they need for their business. Thank you for this Louise and Lillian! Small business owners should really take advantage of our technology now. I also do my own graphics sometimes. I use Canva a lot and it proved to helped me a lot! So glad to hear you liked the interview. I agree, small business owners should absolutely take advantage of the technology they can get their hands on. Canva is a perfect platform that can help many small business owners. Hey! This is a great post. Thanks for sharing.